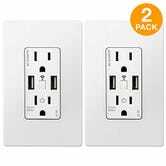 TOPGREENER has been turning out USB-equipped power receptacles for years, but they really raised the bar with their latest models, and you can save 20% on a two-pack with promo code USBWF20T, for a limited time. 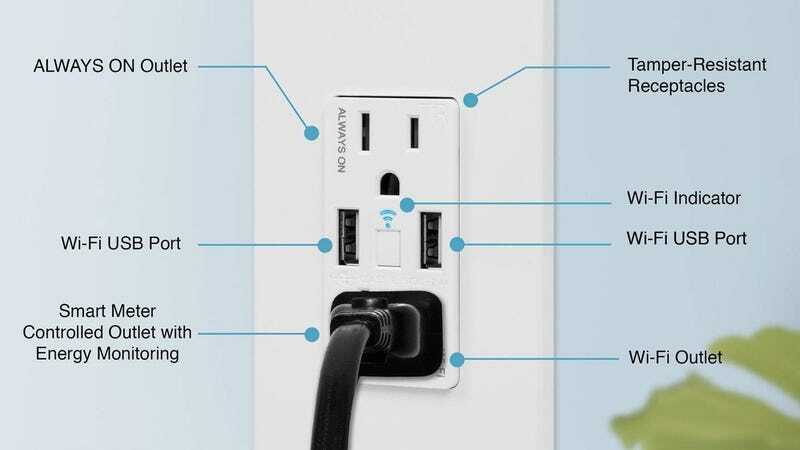 Like most of TOPGREENER’s other receptacles, these have two AC outlets and two USB ports, yes, but those USB ports and one of the outlets have smart plug functionality built right in, meaning you can control them with your phone or your favorite voice assistant, without a big ugly wall plug sticking out. Use them to remotely control power to string lights, a coffee maker, lamps, or even a Raspberry Pi. To get this deal, you’ll need to buy a two-pack. The standard two-pack will set you back $66 with promo code USBWF20T, but you might as well spend $6 more to get the model with built-in energy monitoring, which can tell you how much electricity the device plugged into the smart outlet is consuming.